If cheese is your thing, then we’ve got a real treat for you! 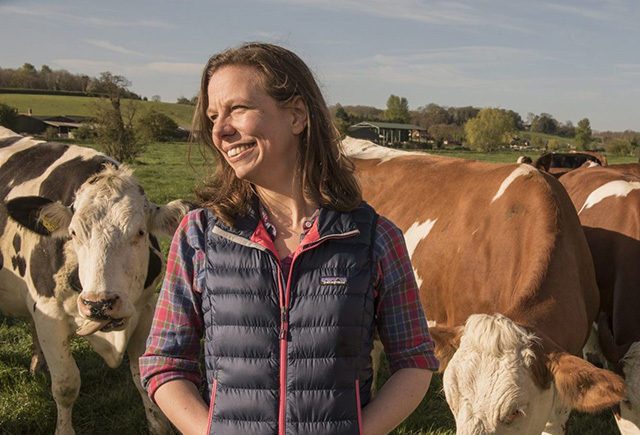 We are beyond delighted to be hosting Bronwen Percival, cheese buyer for Neal’s Yard Dairy in London, for a lively discussion celebrating the release of her new book, Reinventing the Wheel: Milk, Microbes, and the Fight for Real Cheese. While we hear her marvelous tales, we’ll get to taste fantastic traditionally made cheeses from the U.S. and Europe and we’ll all get our very own book to take home. In addition to working with cheesemakers and NYD’s maturation team to select and optimize the quality of the cheese they sell, she works to mobilize collaboration between cheesemakers and the scientific community. In 2012, she instigated a biennial conference on the Science of Artisan Cheese. In early 2014, she spent two months in the Dutton Lab at Harvard University studying the role of marine-associated Proteobacteria on cheese rinds. She is a convenor of the London Gastronomy Seminars, a member of the UK Specialist Cheesemakers’ Association Technical Committee, and sat on the editorial board of the Oxford Companion to Cheese.